One of the most eye-catching and productive spring bloomers, anemones have been a favorite with our customers for many years. 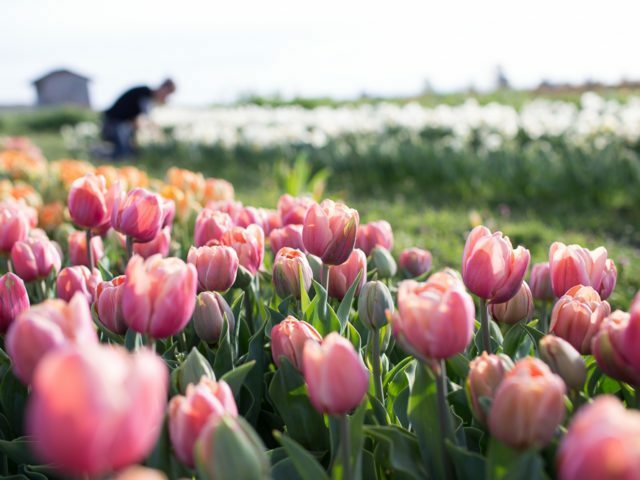 Flowering just three months after planting, these easy to grow bulbs bloom abundantly throughout the spring, often producing up to 20 flowers per bulb, making them a true garden workhorse. 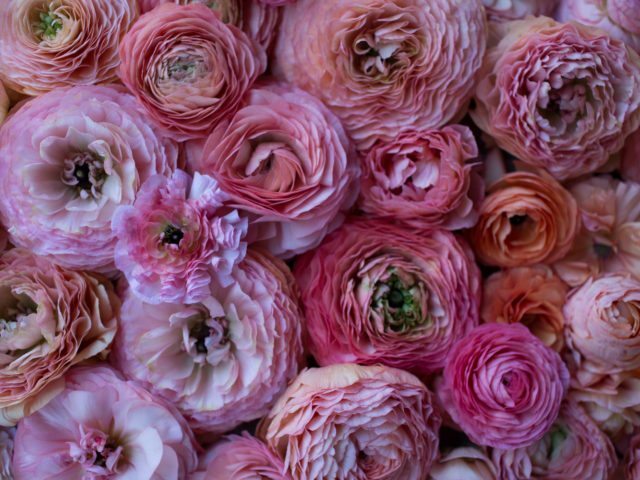 These pretty blooms are always a favorite with floral designers and brides. 1. 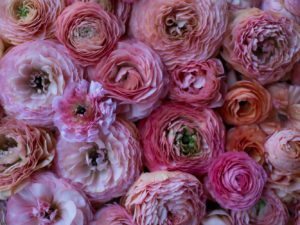 Depending on where you live and what kind of set up you're working with, you can plant your anemones in either the fall or late winter-early spring. While spring planted corms won't be quite as prolific as fall-planted ones, a nice harvest can still be had. In areas with mild winter temps (zone 6 and above) anemones can be planted in the fall and successfully overwintered outdoors with minimal protection such as a low tunnel or frost cloth. In colder areas, where temps dip well below freezing for extended periods of time, you can start them indoors—in a hoophouse or low tunnel, or in trays to plant out later—at the very end of winter. Plants can be moved outside once the threat of deep freezing has passed—this is usually about a month before your last spring frost. 2. When you unpack your anemone corms you'll notice they resemble shriveled brown acorns, and are probably not what you were expecting. Don't worry, these strange little critters will actually produce an abundance of striking blooms! 3. 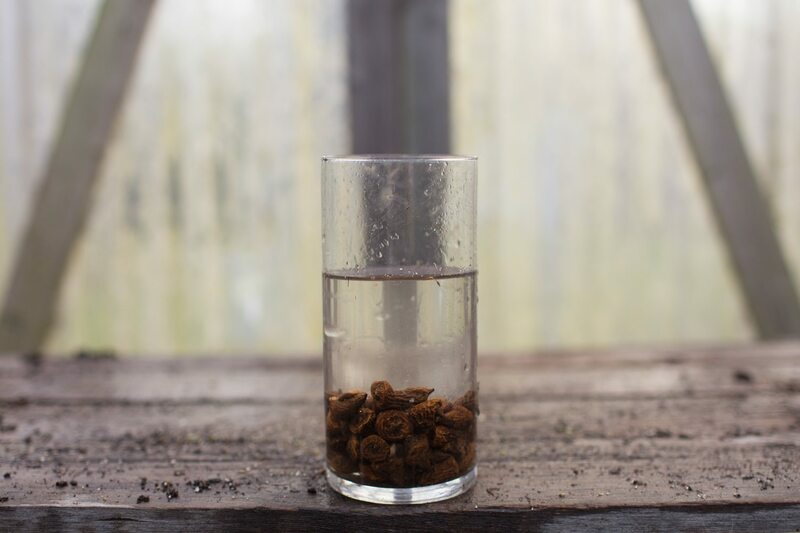 Before planting, soak corms for 3-4 hours in room temperature water, leaving the water running just slightly during the process to help provide extra oxygen. As the corms soak, they will plump up, often doubling in size. 4. 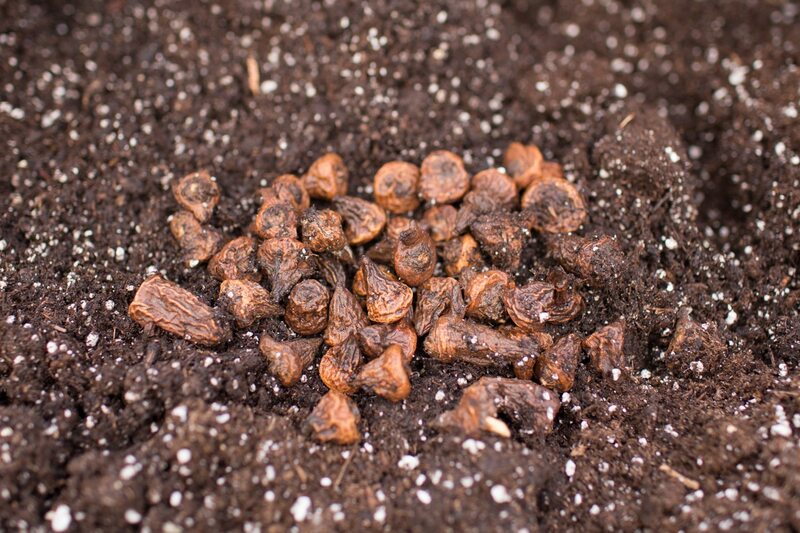 After soaking, corms can either be planted directly into the ground, or be presprouted. 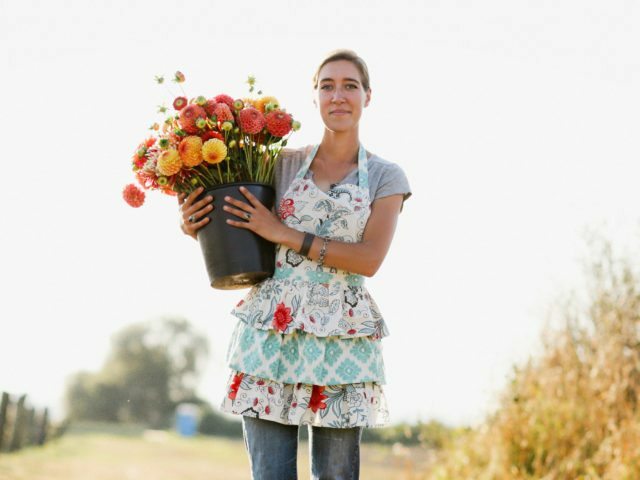 Presprouting the corms before planting will give plants a jump start and you'll have flowers a few weeks earlier than non-presprouted ones. To presprout, fill a flat-bottom seed tray halfway full of moist potting soil. Sprinkle the soaked corms into the soil and cover them with more soil so that they are completely covered. Leave this tray in a cool place (40-50° F or 4-10° C), where rodents can't find it for 10-14 days. Check on them every few days and make sure the soil is moist but not soggy and remove any that show signs of rot or mold. 5. During this time, corms will swell to twice their original size and develop little rootlets. Once these roots are about 1/8- 1/2" (0.3-1 cm) (pull them up to check), plant them in the ground 2-3" (5-7.5 cm). 6. Before planting it's important to prepare the growing beds. 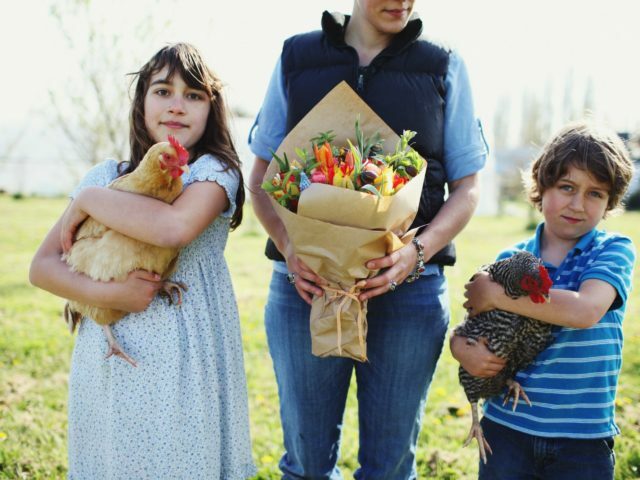 We add a generous dose of compost (2-3" or 5-7.5 cm) and balanced organic fertilizer (Nature's Intent 7-3-4) and mix it thoroughly into the soil. Corms are planted 6" (15 cm)apart, with 5 rows per bed. 7. During cold stretches, when temps dip below freezing, cover the plants with a layer of frost cloth. 8. 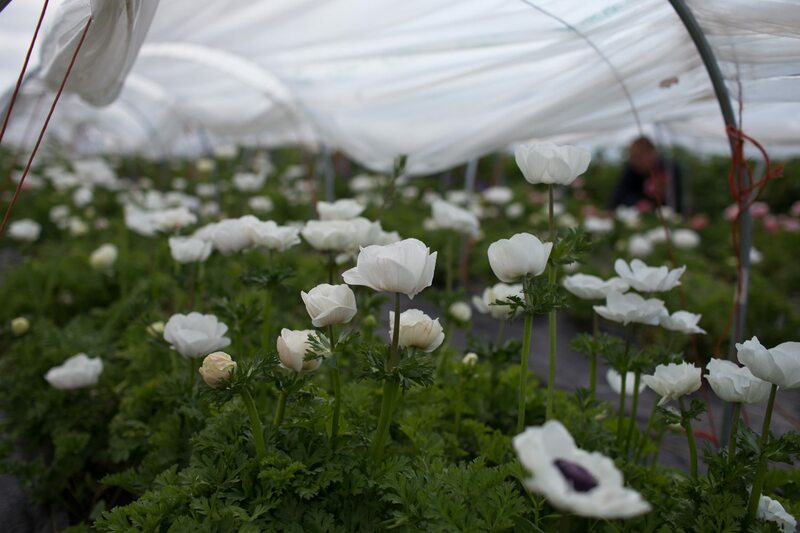 Anemones normally starts to flower about three months after planting. Fall planted corms bloom in early spring and continue steadily for eight to ten weeks. Late winter planted corms will flower by mid spring and continue for about six weeks. 9. The vase life on anemones is fantastic, often reaching 10 days. 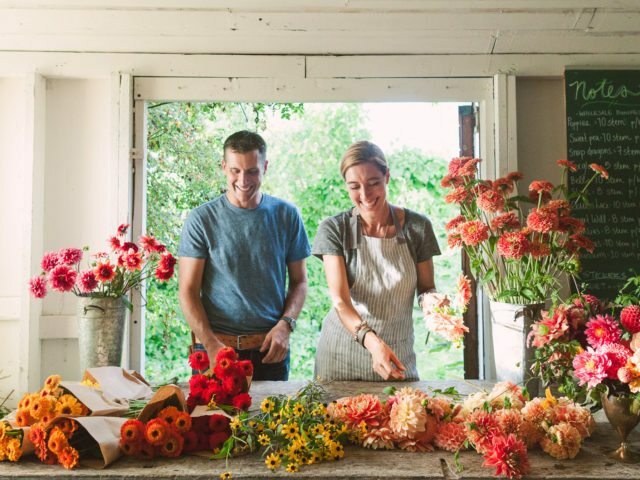 Harvest as soon as flowers open and add preservative to the water to ensure that the petals stay brilliantly colored to the end. Depending on where you live and what kind of set up you're working with, you can plant your anemones in either the fall or late winter-early spring. While spring planted corms won't be quite as prolific as fall-planted ones, a nice harvest can still be had. In areas with mild winter temps (zone 6 and above) anemones can be planted in the fall and successfully overwintered outdoors with minimal protection such as a low tunnel or frost cloth. In colder areas, where temps dip well below freezing for extended periods of time, you can start them indoors—in a hoophouse or low tunnel, or in trays to plant out later—at the very end of winter. Plants can be moved outside once the threat of deep freezing has passed—this is usually about a month before your last spring frost. When you unpack your anemone corms you'll notice they resemble shriveled brown acorns, and are probably not what you were expecting. Don't worry, these strange little critters will actually produce an abundance of striking blooms! Before planting, soak corms for 3-4 hours in room temperature water, leaving the water running just slightly during the process to help provide extra oxygen. As the corms soak, they will plump up, often doubling in size. After soaking, corms can either be planted directly into the ground, or be presprouted. Presprouting the corms before planting will give plants a jump start and you'll have flowers a few weeks earlier than non-presprouted ones. To presprout, fill a flat-bottom seed tray halfway full of moist potting soil. 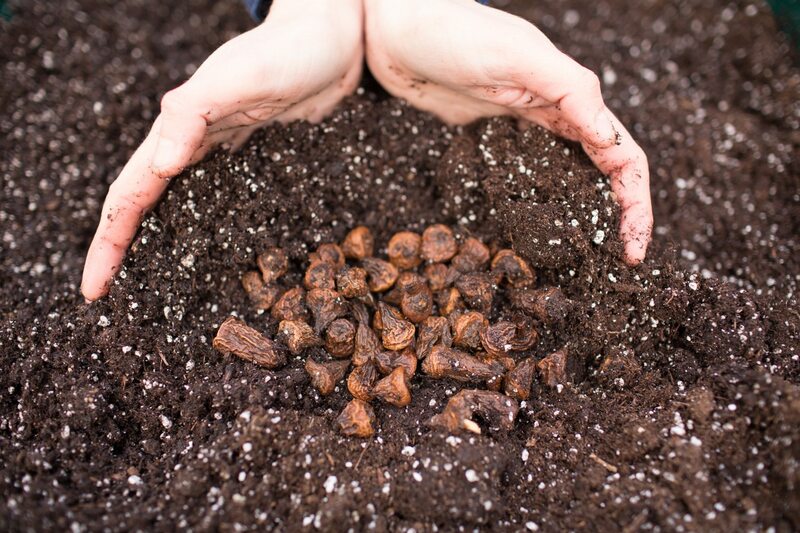 Sprinkle the soaked corms into the soil and cover them with more soil so that they are completely covered. Leave this tray in a cool place (40-50° F or 4-10° C), where rodents can't find it for 10-14 days. Check on them every few days and make sure the soil is moist but not soggy and remove any that show signs of rot or mold. During this time, corms will swell to twice their original size and develop little rootlets. Once these roots are about 1/8- 1/2" (0.3-1 cm) (pull them up to check), plant them in the ground 2-3" (5-7.5 cm). Before planting it's important to prepare the growing beds. We add a generous dose of compost (2-3" or 5-7.5 cm) and balanced organic fertilizer (Nature's Intent 7-3-4) and mix it thoroughly into the soil. Corms are planted 6" (15 cm)apart, with 5 rows per bed. During cold stretches, when temps dip below freezing, cover the plants with a layer of frost cloth. Anemones normally starts to flower about three months after planting. Fall planted corms bloom in early spring and continue steadily for eight to ten weeks. Late winter planted corms will flower by mid spring and continue for about six weeks. The vase life on anemones is fantastic, often reaching 10 days. 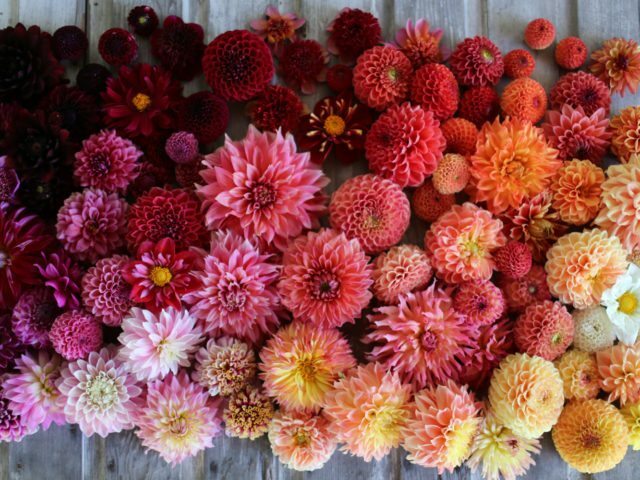 Harvest as soon as flowers open and add preservative to the water to ensure that the petals stay brilliantly colored to the end.